Singapore’s longest man-made waterway, My Waterway @ Punggol, officially opens on 23 October 2011. With this, the developer of Watertown, the first integrated waterfront lifestyle development in Singapore, recently launched the sale of its 992-unit residential apartments. It was first reported that the prices of Watertown residential apartments will start from $1,080 per sq ft (psf), which already included a discount. A subsequent report on 26 January 2012 says home buyers snap up 224 units over the Chinese New Year weekend, making a total of 550 units sold to-date. In this report, it says prices ranged from $980 to $1500 psf. I visited Watertown showflat today, and I was quoted $1141 psf for the 1 + Study Suites 570 sqf unit on the 4th floor, after the various discount scheme accorded. Watertown, when fully developed, integrates the residential apartments with a retail mall, Waterway Point, as well as the bus interchange and Punggol MRT/LRT station. Located across the junction from Watertown is A Treasure Trove, a private residential condominium. This project was launched in September last year at an average psf of $911, and more than 80% of its 882 units has been sold to date. 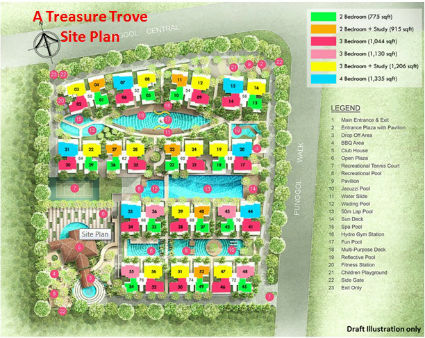 A Treasure Trove is the first private residential condominium project in Punggol Town, as the rest of the residential housing developments are either HDB BTO flats or Executive Condominiums (EC), namely Prive and RiverParc Residence. 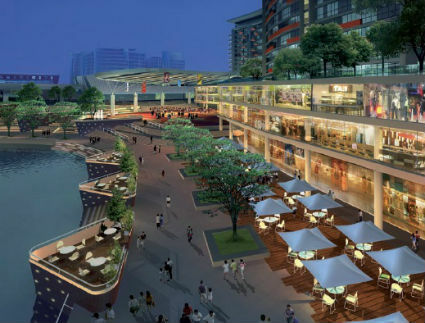 Prive was launched in December 2010 and RiverParc Residence in July 2011, and they have since been fully sold. Located in the same estate, some 600 over metres away from Punggol MRT station, is Twin Waterfalls, the 3rd Executive Condominium (EC) targetted to be launched from 9 February 2012. For those eligible to buy an EC, perhaps due consideration should be made towards this EC instead of a unit at Watertown. Reference can be made to my blog on 19 January 2012, on the Current Market Analysis for Twin Waterfalls EC in Punggol, showing savings one can make between a purchase of a private condominium vs Executive Condominium. Watertown may offer doorstep to shopping and commuting convenience, which is factored into the premium home buyers are paying for. 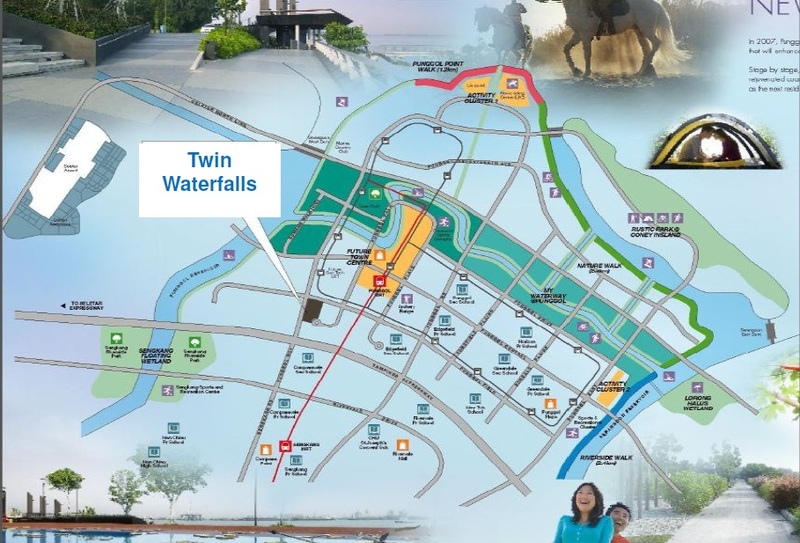 Twin Waterfalls offer ease in accessibility to Punggol MRT as well as travel via the expressway, as it’s about 7 minutes of morning and evening walk to Punggol MRT, and the expressway is just a road junction away, thereby avoiding morning peak hour traffic within the estate itself. Furthermore, residents of Twin Waterfalls will not have to contend with the hustle and bustle associated with a busy town centre, but is very near the convenience of a town centre. Another point to note is the TOP date of Watertown is 2017. Whereas Twin Waterfalls is expected to TOP in 2015. 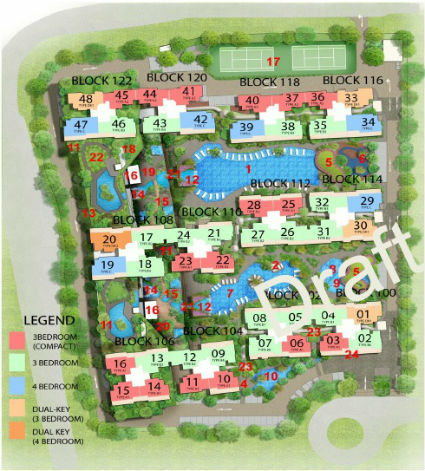 To receive information or for a presentation on the upcoming Executive Condominium (EC) in Punggol, Twin Waterfalls, before launch targetted on 9 February 2012, please leave a message at Contact Form or call Developer’s Sales Team, Poh Lin at 96700937.